With the crossover becoming the car of choice, I find myself testing more and more of them. And one thing that crops up time after time is a lack of capability. To be a true crossover a car must be able to cope in a field as well as it can in a car park. And this is where Mitsubishi raises its hand like the child at the back of the class. You see the ASX 5 I had been sent to test features a 4WD system and, being a Mitsubishi, it should be a good one at that. But would the rest of the car be as capable? To see what the ASX could do, I set about putting it to work. On the outside, the ASX is a rather nice looking car. It balances bold, angular design features with sweeping lines. The swooshing line from the front arch to the rear light stands out, as does the prominent grille. The ASX 5 gets two-tone, 18-inch alloy wheels and a panoramic glass roof, both of which add a touch of class. Towards the back end the car tapers off, leaving a compact rear window and well-rounded rear. A single exhaust pipe is a little underwhelming, but the plastic bottom border to the whole car offered both a rugged feel and a wonderful contrast to the White Pearl paint. On the inside the ASX isn’t quite as impressive. My car had red leather seats, which were certainly a bold choice, but they lack a sculpted feel and the leather doesn’t look of the highest quality. And that theme continues through the cabin. The gloss black finisher is premium, but some of the other plastics are a bit cheap-looking. 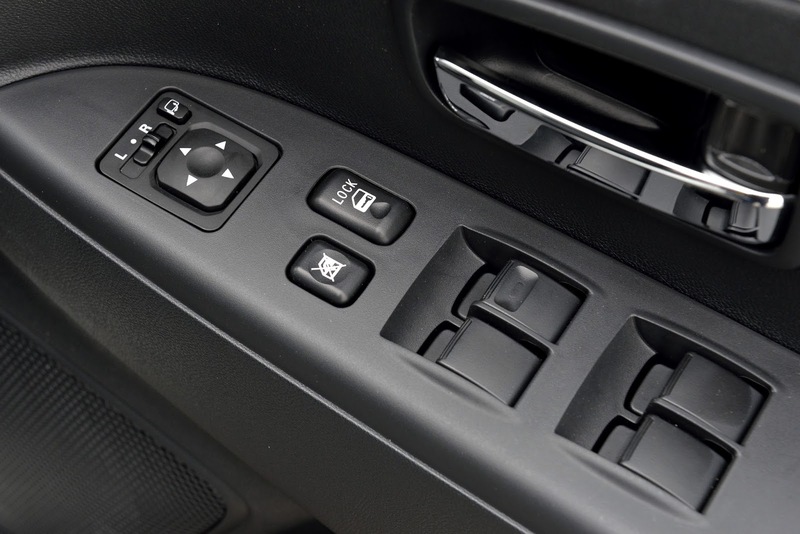 The switchgear also lacks the same rugged feel as the exterior suggests. The dials are a simple black and white, and the large multimedia screen sits nicely in the centre of the dashboard. The engine in my test car was a 2.2-litre diesel engine. It produces a rather uninspiring 150PS, and a slightly more impressive 360Nm of torque. This is sent to the road via a 6-speed automatic gearbox (no manual is available with this engine). You can push a button on the centre console to engage a 4WD system, or you can run front-wheel drive only to improve efficiency. The ASX gets from 0-62mph in 10.8 seconds, and will reach a top speed of 118mph. Despite being a large lump the engine feels like it should have more torque, and still feels rattly once you get above 3,000rpm. Around town it feels nippy enough, but no more so than some competitors’ 1.6-litre and 2.0-litre diesel units. The automatic gearbox does have steering wheel paddles, but it is hardly something to write home about. Driving the ASX is very much as you would expect it to be. The steering lacks any real feel, and the car pitches when cornering at speed. Thankfully speed is never really an issue with the aforementioned 2.2-litre diesel unit. The seats lack any real side bolster support, meaning that handling characteristics are exaggerated. That being said, the ride in the ASX is good. On a long motorway drive in particular, it’s rather comfortable. You needn’t worry about sure-footedness either. Simply hit the “4WD” button and be assured that, whatever the weather, the Mitsubishi will soldier on through. It’s reassuring that the ASX has the capability to back up rugged exterior features and the crossover title. Another downside to the 2.2-litre engine is the rate at which it sips diesel from the fuel tank. This isn’t exactly what you’d call ‘frugal’. Combined fuel consumption is 48.7mpg. Admittedly this car has 4WD, but there are certainly more efficient vehicles available. CO2 emissions of 152g/km don’t help the ASX’s case either; road tax costs £185 in the first and subsequent years. The ASX gets start/stop technology, and I would have hoped for lower road tax and better fuel consumption. You can’t opt for a manual gearbox, and if you get the 1.6-litre diesel engine you can’t opt for an automatic gearbox; it’s a somewhat limited choice. The idea of a crossover is a car that can cope with most tasks you throw at it. The school run. The airport run. The weekly big shop. The family camping trip. The ASX can do all of these, and more. The boot is large, with the split-folding rear seats allowing for particularly big loads. Thanks to a tall stature, the cabin is roomy, with headroom in the back suitable for adults. The model I tested was the ASX 5, which sits at the top of the range. Standard equipment includes keyless entry and go, satellite navigation, cruise control, heated seats, climate control and a reversing camera. Whilst the ASX doesn’t feel like the pinnacle of luxury, it does have more than enough creature comforts to ensure that life behind the wheel is pleasant. I like the styling of the ASX; in particular the White Pearl paint/red leather contrast. It looks great in a car park, and reflected in shop windows. But once you leave town and hit the loca l B-roads, the drive of the ASX lets it down. It never feels engaging to drive. Capable, yes. Comfortable in any conditions. But it lacks that driver focus that makes you want to grab the keys. And whilst the ASX makes a great companion for the family road trip or annual holiday, the multimedia system leaves a little to be desired. Admittedly my iPod Classic, although reasonably new in age, is somewhat old technology. The media system in the ASX (and most other Mitsubishis to be fair) simply cannot cope with it. The car spends twenty minutes (no I’m not exaggerating) to index it before I can change the song. It’s a minor detail, but endlessly frustrating. So after a week with the ASX, what did I learn? Whilst the exterior looks good, the interior lacks a certain air of quality. The engine is unusual too; with a big unit producing an uninspiring level of power. The ASX also falls behind rivals when it comes to economy. But it is very well equipped, and the 4WD system is very good indeed. On the crossover spectrum the ASX leans more towards rural, and that makes it an interesting proposition. Prices for the ASX start at £15,999 and the ASX5 4WD automatic I tested will set you back £28,349. 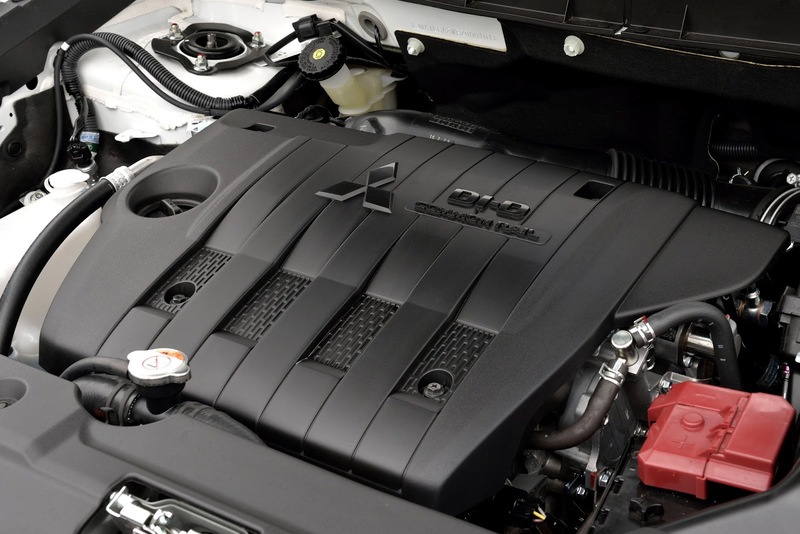 For more information head over to a local dealer, or log on to the Mitsubishi website. 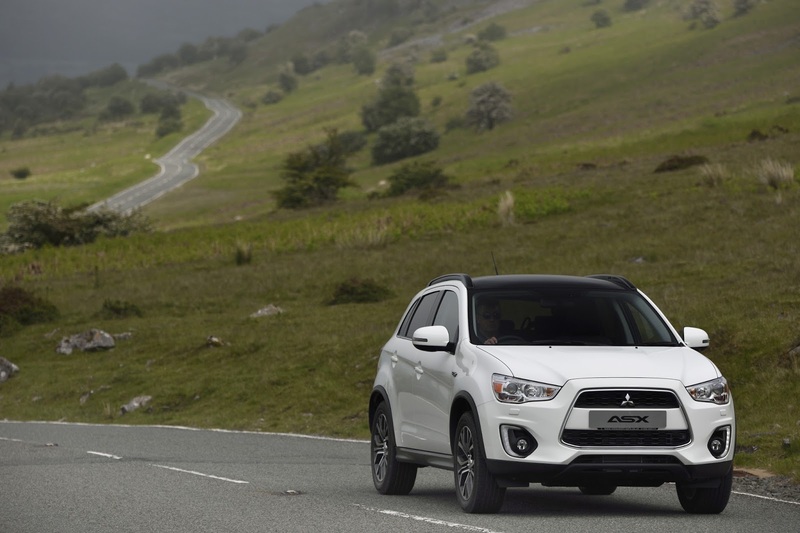 And when the going gets tough, the Mitsubishi ASX gets going.